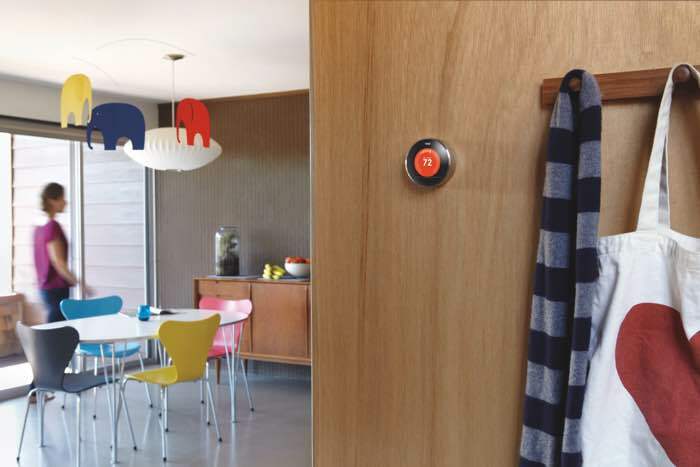 Nest has announced that their Nest Thermostat will now support more third party devices, the company announces the news at CES 2015. Nest have added a number of home appliances to their ‘Works with Nest program, and there are no 15 more devices that get Nest integration. The company is obviously looking for the Nest Thermostat to do much more than control your heating, if you have the Nest Protect smoke alarm installed, and use Philips Hue light bulbs, the lights will flash when your smoke detector is activated. The Nest Thermostat now also features integration with the August Smart Lock, so when you lock your doors, the Nest can automatically go into away mode, and switch the heating off. A number of other devices including LG’s networked appliances also now work with the Nest Thermostat, and there will be more devices later in the year added to the works with Nest program.